Care about water? Become a member of the Story of Stuff Water Defenders. Fights over public water are popping up around the United States from Michigan to Pennsylvania to California and beyond. 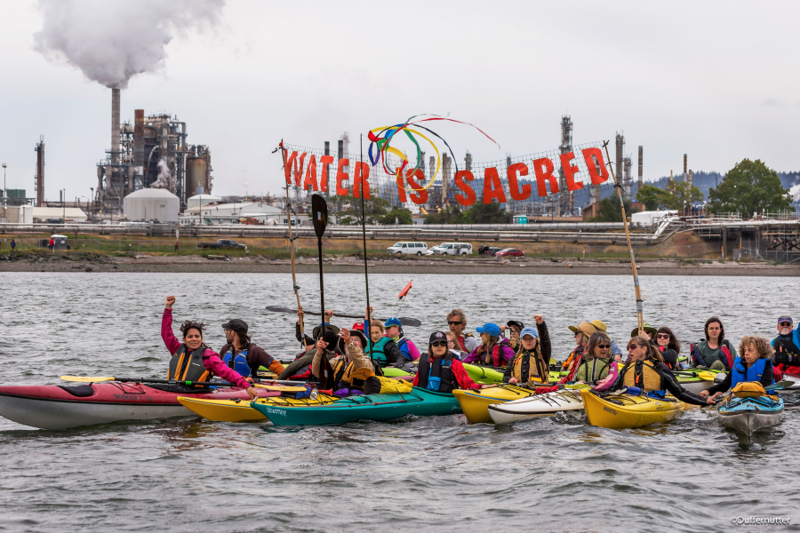 From struggles to ensure clean water access to efforts to secure public water sources and systems against privatization attempts, these fights are widespread and deeply personal. We oppose corporate control of water, from plastic bottled water to city water systems, because corporations routinely put profits before people. Corporate-owned water is privatized water, and a resource as precious and necessary to life as water shouldn't be controlled or sold for financial gain. Sign up to receive updates and action alerts on these fights as we work to keep water clean, affordable, and public for all. Water privatization is what happens when private corporations buy or operate public water utilities, and it is often presented as a solution to city budget problems and water systems that need updates and repairs. Unfortunately, this more often backfires, leaving communities with higher rates, worse service, job losses, and even poorer quality of water. The rise of the water bottling industry is an extension of privatization. This industry benefits by driving a wedge between the public and its local tap water, despite the fact that in many places tap water is safe and almost everyone can access it for just a tiny fraction of the price of a bottle of water. Individuals and local groups around the world have been fighting back against multinational corporations like Nestlé Waters that buy off land and permits to spring water in rural areas for bottling. And others are fighting to protect their local water systems from government mismanagement and sell-offs to private corporations. Sign up to receive updates as we work to defend water from corporate profiteering because water is a human right! Learn more about our water work.